You’ve made a new track and think it reaches minimum requirements ? 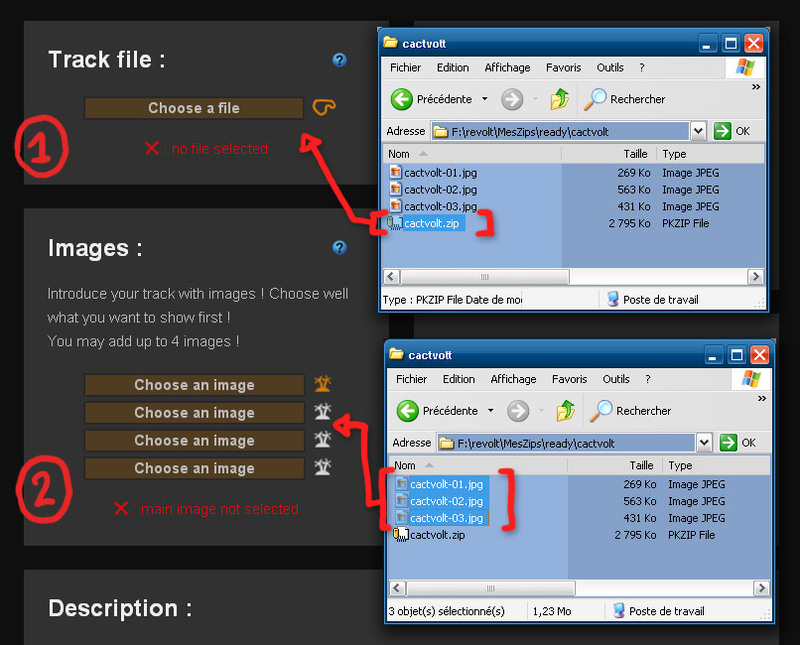 You have to prepare your files (see below to know how) and fill the upload form. 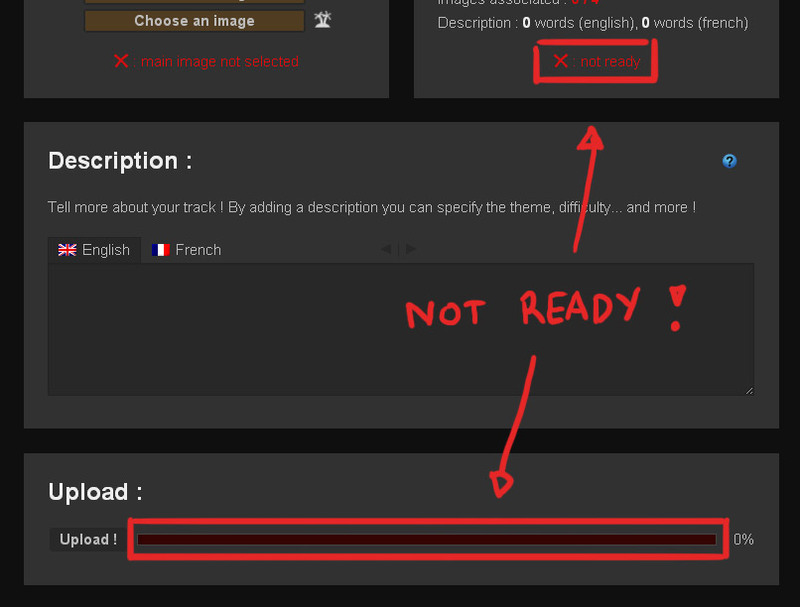 Once you have send your track, a new page is created. You will be able to access it but it will have to be approved before other users can see it. Once you track is approved, you may ask for a review and receive comments and user rates ! In case it is not approved, you will receive a message telling you the reason, so it’s at least constructive and you will not be left in the dark ! 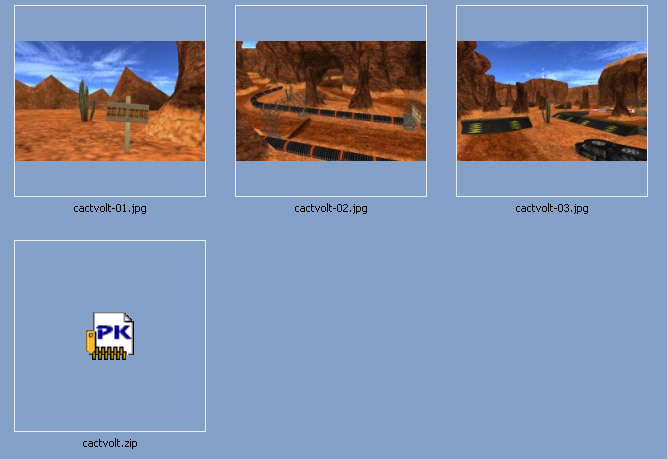 If you’re used to create files for RVZ, images must be outside the track file ! The images for the website ! 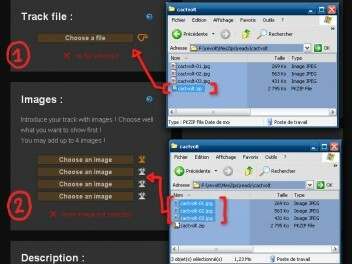 The track file should be a compressed archive *.zip or *.rar. 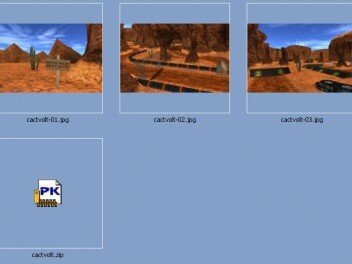 You may send 4 images along with the track file. I advise you to take large screenshots (1600*1200 px ,1920*1200 px…). The larger the images, the better you show your creation. A great filesize is between 100 and 200Ko for larger images. If you do not know how to compress an image, have a look at the image compression tutorial ! 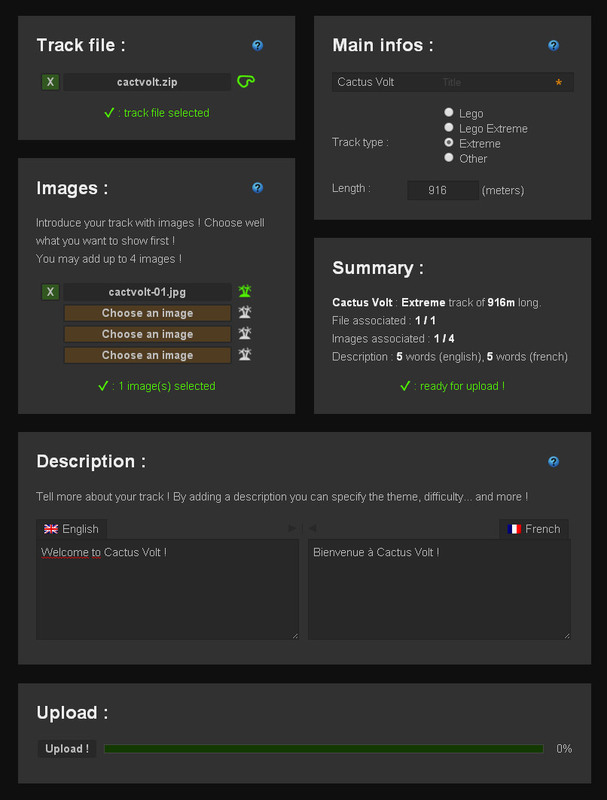 (1) : The total form size : track file + images must not exceed 8Mo (current server limit). For example, if your track file weighs 7.5 Mo, you have 500Ko left for images. 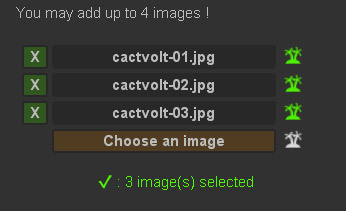 If you want to send a larger file, let me know and I’ll add it manually. Lego Extreme : created with the game’s track editor then heavily modified using “MAKEITGOOD” edit mode. Other : Battle Tag, something that can’t be classified… well, if you don’t know. 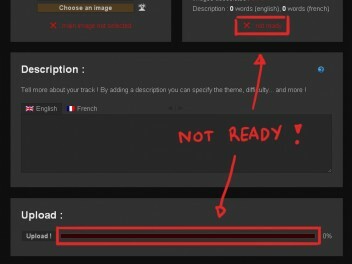 Except from the “Other” track type, you must enter the track length ! You may write it in english and french, or ask for a french translation. The form summary and upload progress bar turns green when the upload is ready. In this case follow the instructions. If you ever get an error message asking you to contact an admin, use messages or the contact page.